Today is a Good Day...and sometimes we need to be reminded of that!! 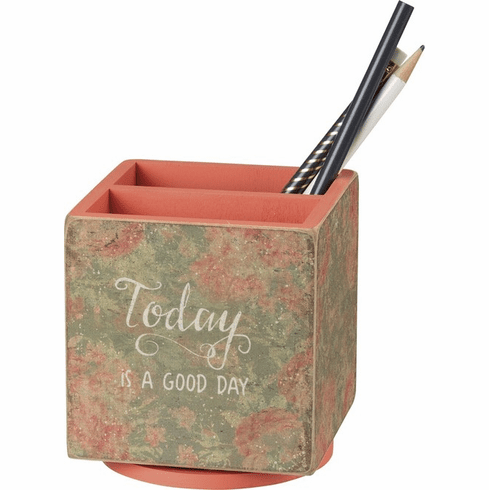 Charming for the office, a small desk organizer mounted on a spinning base featuring distressed "Today Is A Good Day" faded floral design, and a muted but romantic palette. Great for holding pens, markers, and pencils!